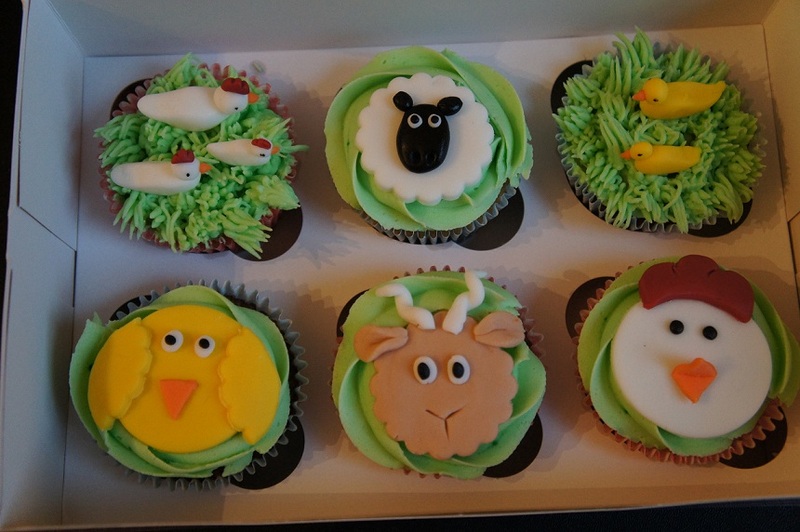 Last month I had an exciting and different cupcake order. I’ve probably said before, I’m not keen on doing the same designs over and over! There’s a part of me that likes the fact that it is easy to make something you’ve done before, but it slightly takes the creative aspect out of it. I’m a butterfly when it comes to flitting between crafts and designs, so a new challenge is always welcome. I loved making this order – it was such fun to do something a bit different. And I was only ever so slightly gutted when Grace told me she liked the dog and the snowman best! I’m sure it must be her eyesight and not my creative abilities!